This picturesque ruin balances precariously on the edge of a dramatic outcrop of volcanic rock. 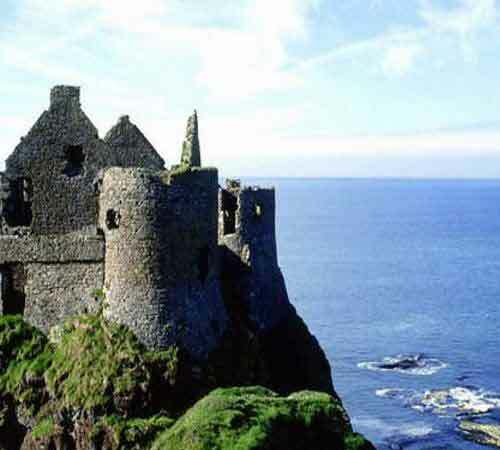 Dating back to the 14th century, the magnificent Dunluce Castle was besieged and changed hands many times before being finally abandoned in the last years of the 17th century. It remains one of the most striking castles in Ireland with fantastic views of Donegal and the Inner Hebrides off the West Coast of Scotland.